Okay, so this first post is honestly just to get myself into the habit of actually blogging, so it may not be the most polished and there may be a few typos (insert ‘sent from my iPhone footer here), which is honestly super cringy for a grammarnazi like me, but I just need to get this started. It may not seem like it to most, but ya grrl going through some things right now (but aren’t we all? ), and this platform may just be the outlet I need to heal. And I hope I can help people along the way. So, what is “Scrunchymomz” all about? Is it a play on the fact that I, and old Millennial, born in the first year of the last decade of the 20th century can physically remember when people unironically wore those huge scrunchies in their over-hair sprayed hair? Well, yeah, I do remember that, but no, that’s not what I mean. So like Pokémon, there are actually several different Mom “types,” two of which are “Silky,” and “Crunchy.” Its my understanding that Silky Moms are all modern, full Supporters of formula feeding, modern medicine, etc. 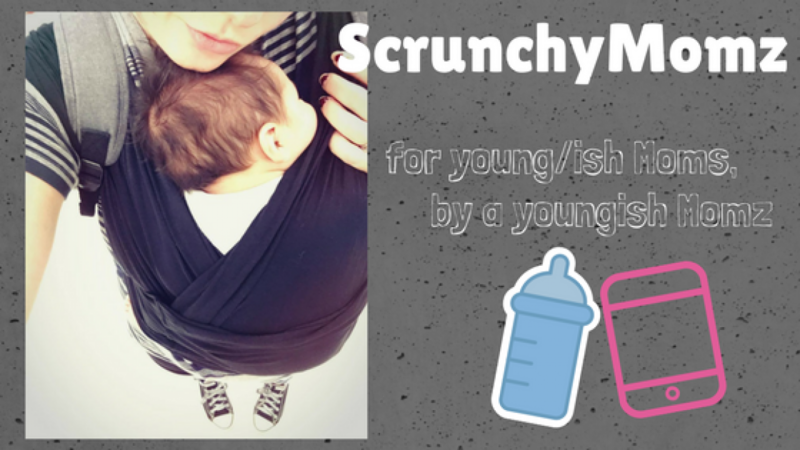 Crunchy Moms are the opposite—all natural, vehement breast-feeders, naturopathic care, etc. So now you can probably make determinations that “Scrunchy” is between the two, and that’s where I fall. I’m a baby-wearing (Crunchy), formula-feeding (Silky), organic-supplementing (Crunchy), CDC-pediatric-schedule-following (Silky), and so much more Scrunchy Mom, just making it up as I go. So I know it’s only a matter of time until my son, 4 months old, wakes up, so I must make this brief, but in summary, I hope to make sense of my Momventure through this blog, and help you Moms (and Dads) who may be wondering what tf you’re doing, like me. If you’ve read this far, thank you! Some things to come: Pregnancy memories and how I hacked it, Labor and delivery Story, breastfeeding pratfalls, tips and tricks, DIY’s and upcycling, and more!